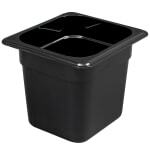 The Cambro 66CW110 Camwear® black food pan holds 2.4 quarts of product and resists acids and chemicals. Along the edge, the 1⁄2-inch flange enables the pan to sit in food bars and prep tables. Molded-in graduations simplify inventory checks. The exterior bottom of the pan is textured to resist scratching, and the interior is smooth for removing all product. Not sure what kind of pan you need? 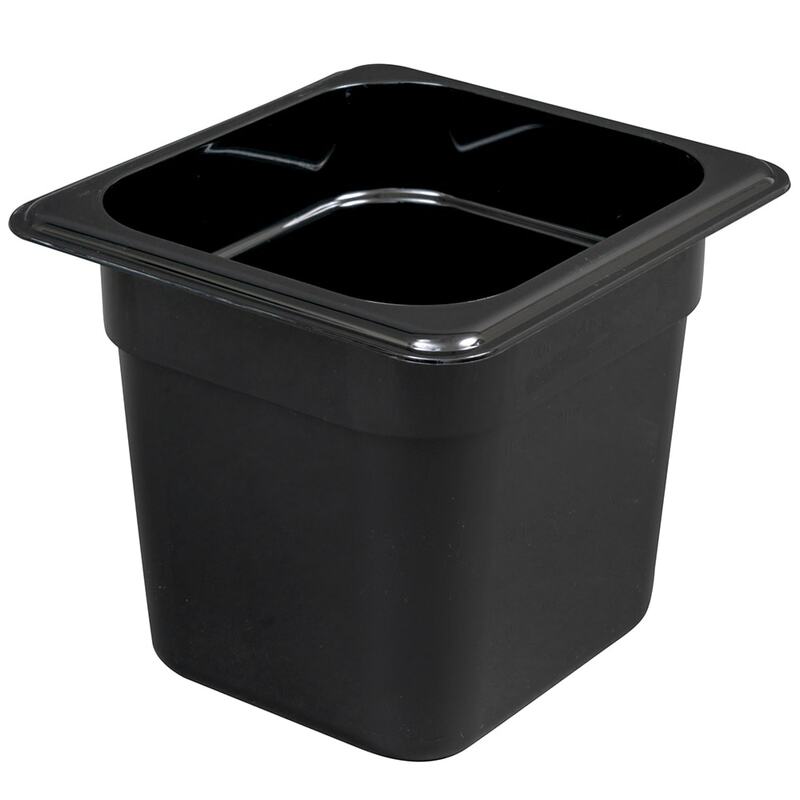 Take a look at the Cambro guide to food pans.